The Sun, yet another mixed development at Sungai Nibong, Penang. 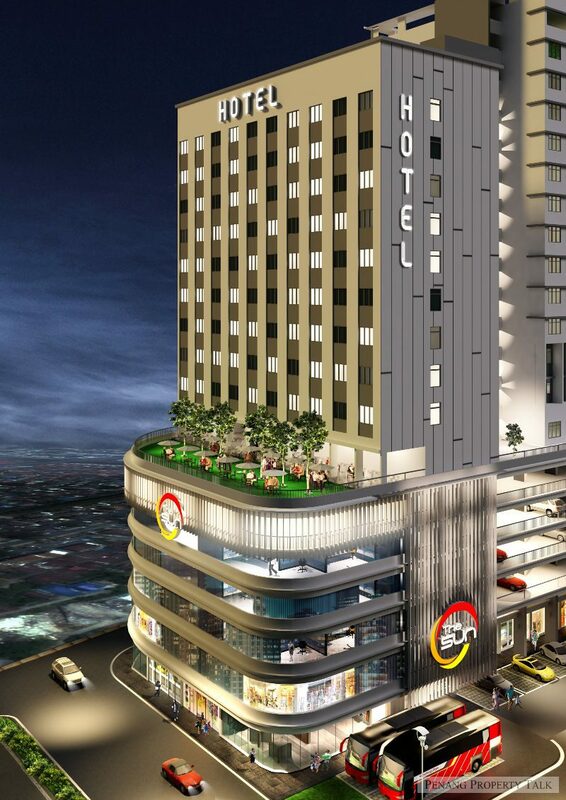 This upcoming project by Sepakat Mewah Sdn. Bhd. 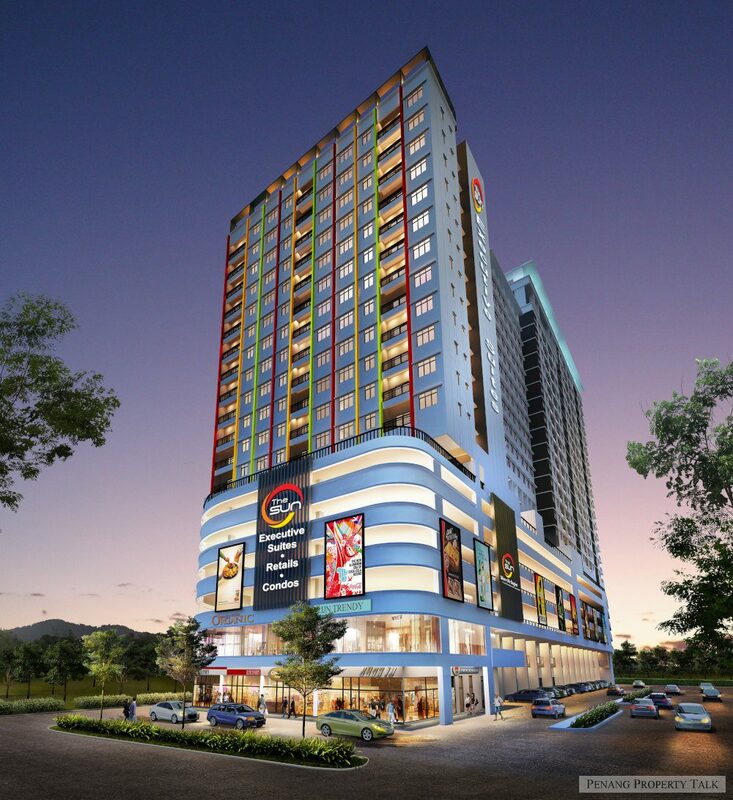 is strategically located along Jalan Sultan Azlan Shah, right opposite Kwang Hwa primary school. 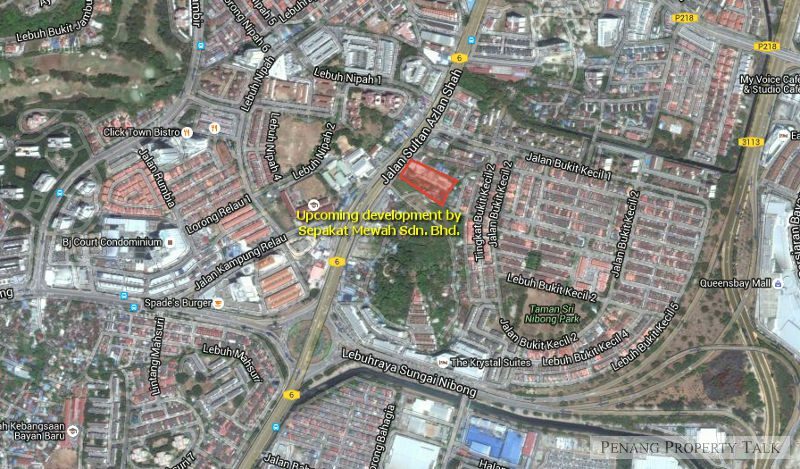 It is within walking distance to the proposed Sungai Nibong LRT station. This development will see the demolition of existing houses, for a 24-storey building comprising condominium, executive suites and commercial lots. Common facilities will be located at level 7. Huge Built-up of 1,313 sq.ft. Developer : Sepakat Mewah Sdn. Bhd. @Gowri Subramania How should i contact you? The developer just launched the commercial shops offices. 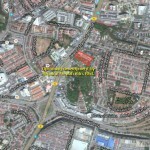 The location is exactly opposite Kwang Wah Chinese School Sungai Nibong.. 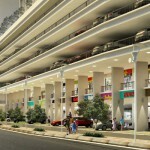 The ground floor shops selling approx 1.344mil onwards with 1119sq.ft. Upper floors selling from RM 458k to approx RM 800k. 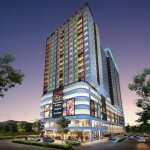 Condos is approx 698k (early birds prices) with 1,313sq.ft. Is the 698k the SNP price? 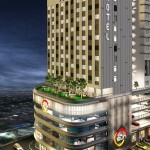 Total 195 (residential), 61 (shop offices), 135 (hotel rooms)? I understand that the facilities are separated. Just got to know that the developer will free 1 car park for the shops offices early birds buyer..
How many units per floor? 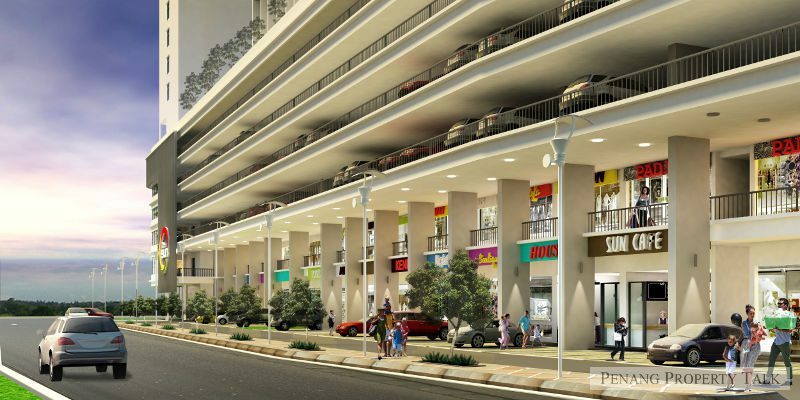 Is the free car park apply to residential unit purchase? I thought commercial lot has a 900+sqft unit at $398k? James, I am interested in commercial lot. Please get back to me asap on what’s available. 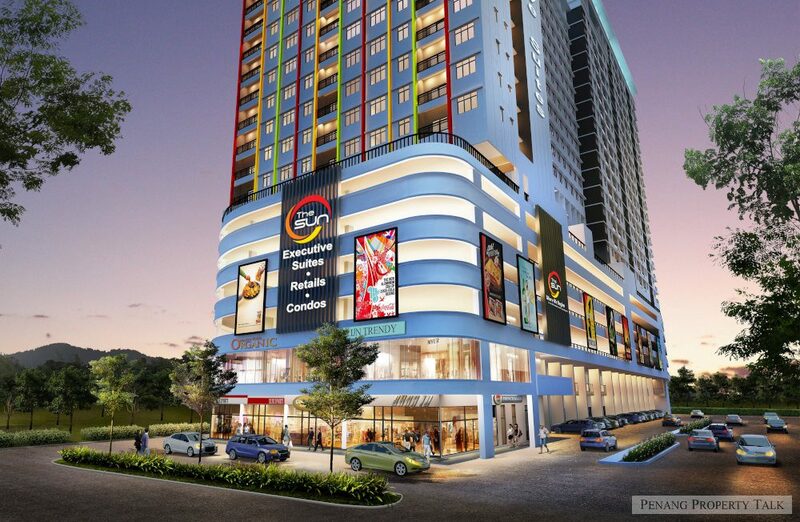 I went to their sales office in Jelutong last week, Im quite interested in their commercial shops, I heard the ground floor shops facing main road is ard 1.3++mil with approx. 1100++sq.ft. 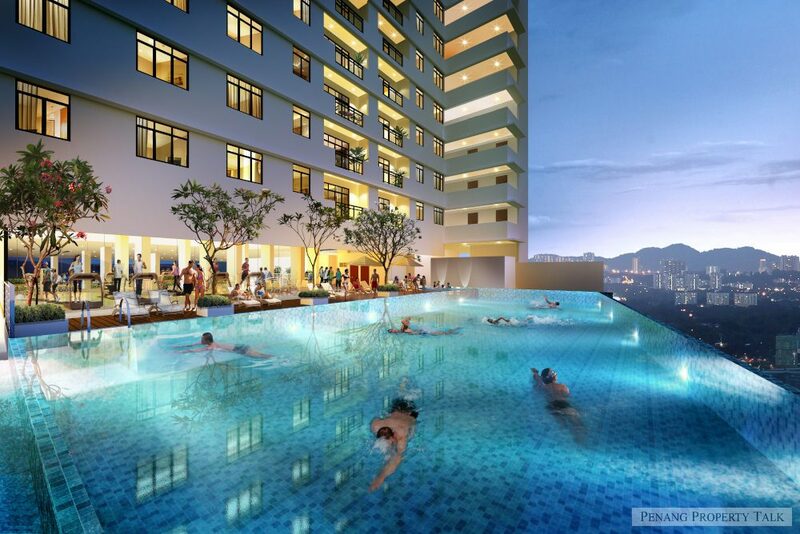 The upper floors is from RM 398k onwards depends on the size. I worked out the rental yield is about 4% to 5%. Not bad. Their early birds package are free 1 car park and free legal fee for snp n loan agreement etc. If you like to know further information, perhaps you can leave your email here and let the developer send the relevant info to you. Hi all, I’m new to property and would like to buy one for own stay. I went to see the scale model of Novus and also The Sun @ Sg Nibong and both are in my consideration. The location of Novus is strategic and facing the sea, having no other future developments blocking your view. The only thing I don’t really like about Novus is the rectangular layout if compared to The Sun, and also the negative feedbacks regarding the developer formerly known as RID. Furthermore they only have one unit left leaving us no other choices. While for The Sun the layout is more square-ish. The size is bigger too (1313sf) and is cheaper psf compared to Novus. The only thing I feel “unsecure” is The Sun will have hotel, commercial units and also 50 affordable units all build on the same piece of land. Future developments behind The Sun maybe will block the city view too. FYI, Novus has 36 floors with 273 units, while The Sun will only have 24 floors with 145 units condo, that’s super low dense. Both maintenance fees are 0.25psf. Please give some advices/comments. Thank you from a serious buyer. Snowman, 1313 sqfx(RM 0.25+0.025) = RM 361 per month. This is the maintenance fee u hv to pay for The Sun whereas Novus is just RM 278 per month. The rest I cannot comment. Mohon untuk detail rumah mampu milik C2 (Maksimum RM200,000). Further understanding, the residence of The Sun will stay together with low cost flat. In which I expect, will dirtier, noisy, car park problem(they will park at roadside,eg. 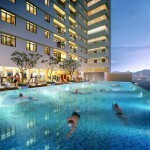 Halaman Crystal, Oasis, and etc those staying with low cost residence. We are not critizing the low income, but this is realitic example. Foreseen after 5years, the door separated between low cost and The Sun will be broken easily. Do you guys aware about these concerns ? Saw a mosque beside The Sun location. Anyone input on this? Please pm me on the details include the affordable house application. Interested. Please send me detail @ jong0808@gmail.com. Why lower the price for 10%? Any FB to track progress? Certain building material will exempt from SST, so the price expect to be lower. I won’t expect 10% lower, but at least 3-5%. Please provide info on the affordable home units. Thanks. Is this residential or commercial title? the residential is under residential title or commercial title? Can PM me at test_solution@yahoo.com the floor plan details and how many free carpark available for each residential unit? I’m interested in condo (the sun). How much the price?